If countries with Muslim minorities are serious about achieving a cohesive society, then they should look at the discrimination against their Muslim population. Using women as a political instrument is nothing new. A glance at the history of veiling, unveiling and re-veiling of women of Iran reveals how, kings and clergies alike, have used women to rubber-stamp their monopoly on power. In 1979, the mullahs in Iran forced the hijab on the Iranian women in order to rebrand a secular revolution into an Islamic one. But, the hijab law in Iran has been largely counterproductive. Rather than pushing women towards piety, the hijab law has, in fact, encouraged many Iranian women to adopt an extreme version of Westernised ideas of beauty and sexuality. Today’s Tehran is full of women looking like hijabi Barbi dolls on steroids. The hijab law in Iran is a good example of how enforcing unjust rules can push people to the extreme of the opposite side. Ironically, it was another counterproductive imposition on women that contributed to the success of the 1979 Iranian revolution. This time in the form of forced unveiling of women. In 1936, Reza Khan, the former Shah of Iran’s father, in an attempt to push Iran into rapid modernization and reduce the influence of religion in Iran, banned women from wearing head covering in public. Women who defied the new law were arrested, shot at and some were killed. The screaming and cursing of women became endemic. Many women vowed never to leave their homes again. The new law, rather than liberating women, contributed to a greater suppression by making women prisoners in their own homes. The hatred of forced modernization, the lack of respect for tribal and traditional values saw the seeds of the Islamic revolution that came in 1979. Reza khan proved that tearing away the veil by force not only does not lead to liberation but it is likely to pave the path to extremism. This important lesson is lost on some European countries that have passed specific laws to ban Muslim women from wearing the veil. This type of bans is likely to lead to further isolation, marginalization and extremism amongst Muslims. If countries with Muslim minorities are serious about achieving a cohesive society, then they should look at the discrimination against their Muslim population. They should look at the housing conditions and high rate of unemployment amongst their Muslim youths. That is the most effective way of combating extremism. For many Muslim women, religious veiling is an important part of their spiritual identity. Contrary to popular belief, many Muslim women wear the hijab because they want to become more visible. The veil, they say, gives more visibility to their thinking, to their consciousness, to their beliefs and their actions, and that is why they wear it. For Muslim women, the veil is an internal message to themselves and an external message to the outside world that they are faithful to the principal values of their religion; that they are followers and believers. For others, veiling is part of their journey to self-discovery. They might not wear the hijab forever or even all the time, but when they do, they retreat to a spiritual sanctuary that brings them security and strength. In a recent visit to London, I met a hijabi women serving behind an Armani makeup counter in a well-known department store. I asked her why she wore the hijab. She told me that she had been thinking about it for a long time and finally decided to wear it after the death of her grandmother. Putting on her hijab everyday, she said, reminded her of the values that she cherished the most: spirituality, family and love. Of course we need to condemn the compulsory veiling of women wherever it is practiced, be it in Iran, Saudi Arabia or elsewhere. But, where women do have a choice, we need to respect that they have the intelligence and strength to make that choice. The world owes a debt of gratitude to Rosa Parks, the black women who, in 1955, broke an unjust law by refusing to give up her bus seat to a white man. Rosa Parks is now known as “the mother of the freedom movement”. Muslim women should refuse to bow down to a counterproductive law that takes their liberty away. The only veil that needs lifting is the one that covers the mind. The above article is based on part of a TEDx talk delivered recently by the author in Tauranga. The link to the talk will be available online soon. Good points Michelle but please see my response to Rae below regarding women with face coverings. Cohesive societies are not on any western government’s agenda. Fragmentation and dismemberment, transfer of wealth from the have-nots to the haves, looting and polluting the commons, and maintaining Ponzi schemes ARE on the agenda. Matters such as beachwear are mere distractions -just like fashion, celebrity gossip and corporatized sport- on the path to self-annihilation that governments have chosen for their citizens. A cohesive society could act to stop the looting by the rich. Yes, a cohesive society is a threat to neoliberal agenda. I will put my hand up straight away and state that I do not like seeing covered faces, I don’t believe there really is a place for it in modern society. However, I have to say that seeing the burkini and also Muslim women being able to compete in sports and retain their need to dress modestly, as very, very positive for them. 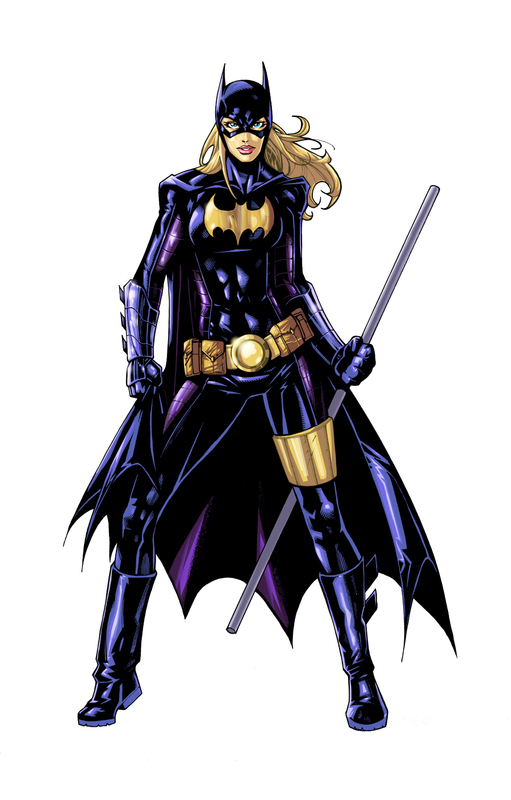 I see them able to participate in activities that may have previously been unavailable to them. Did anyone else see the irony of the hijab wearing Egytian woman in the beach volleyball at the Olympics. This can only be positive for them, and instinctively, I find that these garments are actually a step TOWARD personal freedom for them, rather than the other way around. I can see the burkini or a variation of it, becoming popular among other than Muslim women, just quietly, as those with fair skin and those who are less than comfortable with letting it all hang out, maybe adapting the idea for themselves. Rae, I agree with all you said bar your view on burka. I do not like seeing covered faces either just like, in a lesser degree, I do not like talking to people with dark sunglasses on- I find it a bit disconcerting. But, I accept that their sunglasses are for their comfort, not mine and I don’t have a right to put my preference before theirs. Our feeling of discomfort (I’m not immune from it either) associated with fully veiled women stems from our deep-seeded prejudice that associates the burka with oppression and backwardness. The reality is that a fully veiled person in white, with her face hidden under a bridal veil, for instance, would never conjure up the same feelings in us. We accept that the price of having free speech is to allow others whose speech we do not approve to have their say. So, why is it that we don’t extend the same tolerance and acceptance to women who choose to fully veil as the price we have to pay to live in an open and liberal society? A few things, I do not call for a ban on covered faces, but I do ask that people think before covering their faces. Remember, that even those who tolerate do not necessarily view them positively. I too prefer sunglasses removed when talking to someone, and I am not a big fan of beards that completely cover the face, a trimmed beard is fine. A person’s face communicates as much, if not more, than words and deliberately covering it, signals withdrawal from communication, and creates a barrier, whether anyone likes that to be said, or not. I definitely, though, do not think that religious practices should be allowed to trump the law, and that applies to other things as well, such as the carrying of the kirpan, if it can be used in the same way as a knife it should not be legal, as carrying weapons is banned in this country. I definitely do not agree with carving special conditions for religion off our laws. A kirpan that is decorative only is fine, but as soon as it is sharpened it is not. We do not ban face coverings but we do demand that such coverings be removed at certain times, and wearers of the veil should respect that. And on veils for a wedding, or bike helmets or a balaclava against the cold, they are all temporary, there for a single purpose, not all practical as in the case of a wedding veil, which, seriously, very, very few women adopt and most people see them as a teeny bit OTT, to be frank. Imagine male-dominated legislatures passing laws that make abortion compulsory!?! This would be every bit as patronising as banning it. I can’t believe how many people (and now always men) don’t get that, like abortion, this is about choice. In the case of hijab, burqa etc, we need to defend a woman’s freedom to choose how she dresses. Especially when the alternative is a law that lets cops bully women at the beach into disrobing against their will! Burqa/ hijab bans are akin to banning Māori women from having traditional chin tattoos. A classic example of knee-jerk institutional racism. Indeed, well said, Frank. And we’ll said, Donna. whatever our thoughts on clothing from other cultures, to impose some kind of dress code on women is a form of fascism. Immigrants will become part of their newly adopted community, but not through force or standover tactics by thugs in police uniforms. there are worse things in the world than what men and women decide to cover themselves with. 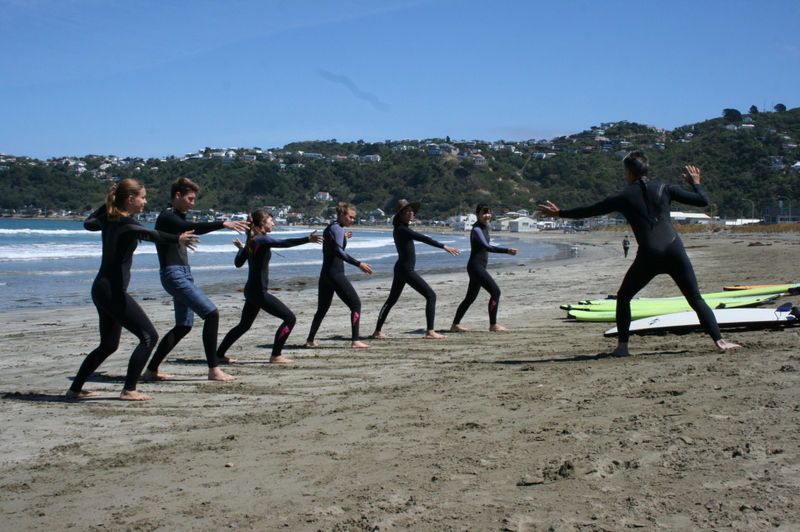 Funnily enough, the “burkini” covers as much as a diving suit, and is very common amongst female (and male) surfers in Lyall Bay, Wellington. (http://campbell.ac.nz/wp-content/uploads/2015/03/IMG_2786-1024×681.jpg) Only the head-cover is missing. 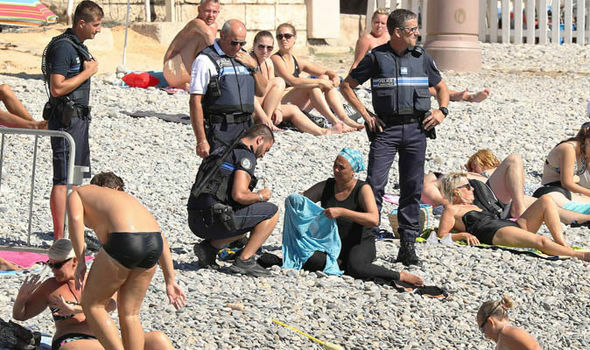 It’s not the fact that the women are wearing a “burkini”, it’s the fear that many are feeling at something unfamiliar to them. If we look at what lies behind the “burkini” ban, I think we quickly begin to understand the fear of the unknown and an irrational fear of similar to the 1950s “Reds Under the Bed” scare that we now laugh at. Frank, yes, the fear of unknown on top of a long history of orientalist and Islamophobic attitudes in the West. Hollywood has a lot to answer for. Donna, I’ve never seen Aladdin but the words from that opening scene are ghastly. So that’s what they’re feeding the children in the West? As for American Sniper , I’ve not seen that one either, but from the shorts, it was a well-done horrible piece of propaganda that suited the needs of the American war industry. At least the movie-version of Starship Troopers was a parody/satire in a way that the author, Robert Heinlein, never intended. He really did believe in a militocracy! We might grouch about “noble savage” stereotypes, and “white saviour” tropes and the Pocahontas inter-racial romance subplot and yes, those criticisms are valid, but I think it’s important to note the points above. The film has its heart in the right place; in sympathy with indigenous eco-warriors and those within the industrial system who ally with them.